The Toyota Corolla Sedan has been a go-to compact car for great gas mileage and reliable safety features since its release in 1998. 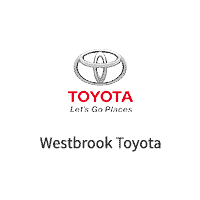 No matter if you’re shopping for a 2016 Toyota Corolla S or a 2017 Toyota Corolla LE, you can find one here at Westbrook Toyota near Old Saybrook. Currently, we have 7 used or certified pre-owned Corolla Sedans in stock. Browse our pre-owned Corolla inventory below! If you find a model you like, you can apply for financing online! LE ECO Plus trim. GREAT MILES 32,497! EPA 40 MPG Hwy/30 MPG City! Bluetooth, CD Player, iPod/MP3 Input, Aluminum Wheels, Back-Up Camera. CLICK NOW!KEY FEATURES INCLUDEBack-Up Camera, iPod/MP3 Input, Bluetooth, CD Player, Aluminum Wheels. Rear Spoiler, MP3 Player, Keyless Entry, Remote Trunk Release, Child Safety Locks.EXPERTS ARE SAYINGEdmunds.com explains As with most Toyotas, the front seats are soft and comfy. There is plenty of space here, even for taller drivers, and the backseat also boasts impressive space. Indeed, at 41.4 inches, rear legroom bests that of most midsize sedans.. Great Gas Mileage: 40 MPG Hwy. Approx. Original Base Sticker Price: $19,400*.WHY BUY FROM USAll preowned vehicles are covered by the Lorensen Advantage, including extended warranties and free services. For more information go to www.lorensen.com/lorensen-advantage.Pricing analysis performed on 4/10/2019. Fuel economy calculations based on original manufacturer data for trim engine configuration. Please confirm the accuracy of the included equipment by calling us prior to purchase. WAS $15,631, PRICED TO MOVE $600 below Kelley Blue Book!, FUEL EFFICIENT 36 MPG Hwy/28 MPG City! LE trim. Toyota Certified, Excellent Condition. Moonroof, Lane Keeping Assist, Back-Up Camera, CARPET MAT PACKAGE (TMS). CLICK ME!KEY FEATURES INCLUDEBack-Up Camera, Lane Keeping Assist. Keyless Entry, Remote Trunk Release, Steering Wheel Controls, Child Safety Locks, Heated Mirrors.OPTION PACKAGESLE PREMIUM PACKAGE W/MOONROOF Tilt & Slide Moonroof, sliding sunshade, Radio: Entune Audio Plus w/Connected Navigation, Entune Multimedia Bundle (7 high resolution touch-screen display, AM/FM CD player, 6 speakers, auxiliary audio jack, USB 2.0 port w/iPod connectivity and control, advanced voice recognition, hands-free phone capability, phone book access and music streaming via Bluetooth wireless technology), Connected Navigation Scout GPS Link App, Siri Eyes Free, SiriusXM All Access Radio and Gracenote album cover art, HD Radio, HD Radio traffic and weather in major metro areas, Wheels: 16 x 6.5 Alloy, center ornament wheel caps, CARPET MAT PACKAGE (TMS) carpet floor mats & trunk mat. Toyota LE with Falcon Gray Metallic exterior and Black interior features a 4 Cylinder Engine with 132 HP at 6000 RPM*. Serviced here, Non-Smoker vehicle, Originally bought here, All Service Records Available.AFFORDABILITYReduced from $15,631. This Corolla is priced $600 below Kelley Blue Book.SHOP WITH CONFIDENCEAutoCheck One Owner 12-Month/12,000-Mile Limited Comprehensive Warranty, 7 Year/100,000 Mile Limited Powertrain Warranty from date of original purchase, 160-Point Inspection and Reconditioning, 1 Year of Roadside Assistance, Vehicle History ReportPricing analysis performed on 4/5/2019. Horsepower calculations based on trim engine configuration. Fuel economy calculations based on original manufacturer data for trim engine configuration. Please confirm the accuracy of the included equipment by calling us prior to purchase. Toyota Certified, Excellent Condition, LOW MILES - 14,737! PRICE DROP FROM $17,431. S Plus trim. Moonroof, iPod/MP3 Input, Bluetooth, CD Player, POWER TILT/SLIDE MOONROOF, Aluminum Wheels, Back-Up Camera. CLICK ME!KEY FEATURES INCLUDEBack-Up Camera, iPod/MP3 Input, Bluetooth, CD Player, Aluminum Wheels Rear Spoiler, MP3 Player, Keyless Entry, Remote Trunk Release, Child Safety Locks.OPTION PACKAGESPOWER TILT/SLIDE MOONROOF sliding sunshade. Toyota S Plus with Slate Metallic exterior and Black interior features a 4 Cylinder Engine with 132 HP at 6000 RPM*. Serviced here, Originally bought here, All Service Records Available.EXPERTS REPORTEdmunds.com explains Copious rear legroom; impressive fuel economy; user-friendly controls; generous standard equipment; pleasant ride..EXCELLENT VALUEReduced from $17,431.PURCHASE WITH CONFIDENCEAutoCheck One Owner 12-Month/12,000-Mile Limited Comprehensive Warranty, 7 Year/100,000 Mile Limited Powertrain Warranty from date of original purchase, 160-Point Inspection and Reconditioning, 1 Year of Roadside Assistance, Vehicle History ReportWHO WE AREAll preowned vehicles are covered by the Lorensen Advantage, including extended warranties and free services. For more information go to www.lorensen.com/lorensen-advantage.Pricing analysis performed on 4/5/2019. Horsepower calculations based on trim engine configuration. Please confirm the accuracy of the included equipment by calling us prior to purchase. Toyota Certified, Excellent Condition, ONLY 24,321 Miles! S Plus trim. iPod/MP3 Input, Bluetooth, CD Player, S PLUS PACKAGE, Alloy Wheels, Back-Up Camera, Serviced here, Non-Smoker vehicle, Originally bought here. SEE MORE!KEY FEATURES INCLUDEBack-Up Camera, iPod/MP3 Input, Bluetooth, CD Player, Aluminum Wheels Rear Spoiler, MP3 Player, Keyless Entry, Remote Trunk Release, Steering Wheel Controls.OPTION PACKAGESS PLUS PACKAGE Sport Package option 1. Toyota S Plus with BLUE CRUSH METALLIC exterior and BLACK interior features a 4 Cylinder Engine with 132 HP at 6000 RPM*. Serviced here, Non-Smoker vehicle, Originally bought here.EXPERTS RAVEEdmunds.com's review says Copious rear legroom; impressive fuel economy; user-friendly controls; generous standard equipment; pleasant ride..BUY WITH CONFIDENCEAutoCheck One Owner 12-Month/12,000-Mile Limited Comprehensive Warranty, 7 Year/100,000 Mile Limited Powertrain Warranty from date of original purchase, 160-Point Inspection and Reconditioning, 1 Year of Roadside Assistance, Vehicle History ReportVISIT US TODAYAll preowned vehicles are covered by the Lorensen Advantage, including extended warranties and free services. For more information go to www.lorensen.com/lorensen-advantage.Pricing analysis performed on 4/9/2019. Horsepower calculations based on trim engine configuration. Please confirm the accuracy of the included equipment by calling us prior to purchase. Toyota Certified, Excellent Condition. EPA 35 MPG Hwy/28 MPG City! SE trim. Bluetooth, CD Player, Lane Keeping Assist, iPod/MP3 Input, ALL-WEATHER FLOOR LINER PACKAGE, Aluminum Wheels, Back-Up Camera. SEE MORE!KEY FEATURES INCLUDEBack-Up Camera, iPod/MP3 Input, Bluetooth, CD Player, Aluminum Wheels, Lane Keeping Assist Rear Spoiler, MP3 Player, Remote Trunk Release, Keyless Entry, Steering Wheel Controls.OPTION PACKAGESALL-WEATHER FLOOR LINER PACKAGE: cargo tray, All-Weather Floor Liners. Toyota SE with GALACTIC AQUA MICA exterior and BLACK interior features a 4 Cylinder Engine with 132 HP at 6000 RPM*. Serviced here, Originally bought here, All Service Records Available.EXPERTS ARE SAYINGEdmunds.com's review says Slipping in and out of the Corolla's cabin is easy, and once you're in, there's ample room to stretch out. There's decent headroom in back and 41.4 inches of legroom, which obliterates everything in the compact segment and embarasses many midsize cars.. Great Gas Mileage: 35 MPG Hwy.BUY WITH CONFIDENCEAutoCheck One Owner 12-Month/12,000-Mile Limited Comprehensive Warranty, 7 Year/100,000 Mile Limited Powertrain Warranty from date of original purchase, 160-Point Inspection and Reconditioning, 1 Year of Roadside Assistance, Vehicle History ReportMORE ABOUT USAll preowned vehicles are covered by the Lorensen Advantage, including extended warranties and free services. For more information go to www.lorensen.com/lorensen-advantage.Pricing analysis performed on 4/15/2019. Horsepower calculations based on trim engine configuration. Fuel economy calculations based on original manufacturer data for trim engine configuration. Please confirm the accuracy of the included equipment by calling us prior to purchase. Excellent Condition, Toyota Certified, ONLY 5,862 Miles! LE trim, Super White exterior and Black interior. REDUCED FROM $20,304!, FUEL EFFICIENT 36 MPG Hwy/28 MPG City! Bluetooth, CD Player, Back-Up Camera, iPod/MP3 Input. CLICK NOW!KEY FEATURES INCLUDEBack-Up Camera, iPod/MP3 Input, Bluetooth, CD Player MP3 Player, Keyless Entry, Remote Trunk Release, Child Safety Locks, Steering Wheel Controls. Toyota LE with Super White exterior and Black interior features a 4 Cylinder Engine with 132 HP at 6000 RPM*. Serviced here, Non-Smoker vehicle, Originally bought here, All Service Records Available.EXPERTS RAVEToyota's Corolla built its reputation by offering great value for the money, solid fuel economy and industry-leading quality. -KBB.com. Great Gas Mileage: 36 MPG Hwy.A GREAT VALUEWas $20,304.BUY WITH CONFIDENCE12-Month/12,000-Mile Limited Comprehensive Warranty, 7 Year/100,000 Mile Limited Powertrain Warranty from date of original purchase, 160-Point Inspection and Reconditioning, 1 Year of Roadside Assistance, Vehicle History ReportOUR OFFERINGSAll preowned vehicles are covered by the Lorensen Advantage, including extended warranties and free services. For more information go to www.lorensen.com/lorensen-advantage.Pricing analysis performed on 4/15/2019. Horsepower calculations based on trim engine configuration. Fuel economy calculations based on original manufacturer data for trim engine configuration. Please confirm the accuracy of the included equipment by calling us prior to purchase. Toyota Certified, GREAT MILES 11,061! SE trim. EPA 35 MPG Hwy/28 MPG City! Bluetooth, CD Player, Lane Keeping Assist, iPod/MP3 Input, ALL-WEATHER FLOOR LINER PACKAGE, Alloy Wheels, Back-Up Camera. CLICK ME!KEY FEATURES INCLUDEBack-Up Camera, iPod/MP3 Input, Bluetooth, CD Player, Aluminum Wheels, Lane Keeping Assist Rear Spoiler, MP3 Player, Keyless Entry, Remote Trunk Release, Child Safety Locks.OPTION PACKAGESALL-WEATHER FLOOR LINER PACKAGE cargo tray, All-Weather Floor Liners. Toyota SE with FALCON GRAY METALLIC exterior and BLACK interior features a 4 Cylinder Engine with 132 HP at 6000 RPM*.EXPERTS CONCLUDESlipping in and out of the Corolla's cabin is easy, and once you're in, there's ample room to stretch out. There's decent headroom in back and 41.4 inches of legroom, which obliterates everything in the compact segment and embarasses many midsize cars. -Edmunds.com. Great Gas Mileage: 35 MPG Hwy.PURCHASE WITH CONFIDENCE12-Month/12,000-Mile Limited Comprehensive Warranty, 7 Year/100,000 Mile Limited Powertrain Warranty from date of original purchase, 160-Point Inspection and Reconditioning, 1 Year of Roadside Assistance, Vehicle History ReportBUY FROM AN AWARD WINNING DEALERAll preowned vehicles are covered by the Lorensen Advantage, including extended warranties and free services. For more information go to www.lorensen.com/lorensen-advantage.Pricing analysis performed on 4/16/2019. Horsepower calculations based on trim engine configuration. Fuel economy calculations based on original manufacturer data for trim engine configuration. Please confirm the accuracy of the included equipment by calling us prior to purchase. Why Buy a Used Toyota Corolla for Sale From Us? We offer a large selection of used vehicles near Madison and Clinton. Are you looking for a pre-owned Corolla in the colors Black Sand or Super White? We’ll help you find it! Our sales and finance teams will also work with you to help you get the best possible rates and terms on a car loan. We can even assist you if you want to trade in your current car! If you have any questions about a used Toyota Corolla for sale above, contact us online or visit us near Guilford and East Haddam!